CW and Carter Archibald, Lodgepole, SD. Great Day for a sale the Carlson family. They sure had a big crowd on the seats. sold to Woody Ranch, Bernard, KS. Lot 67 at $11,500, Carlson Right On 8024, Dob 1-12-2018, Reg 19299998, Carlson Right On 5001 x Carlson Everblack 5004, sold to Mark Dassinger Gladstone, ND. 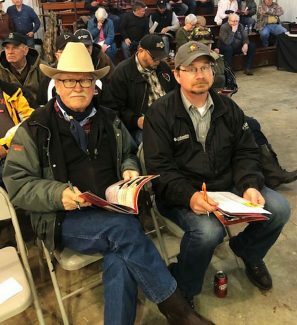 Lot 68 at $9,500, Carlson Right On 8026, Dob 1-12-2018, Reg 19299999, Carlson Right On 5001 x Carlson Everblack 5004, sold to Colin Schmidt, Manning, ND. Lot 69 at $9,500, Carlson Cowboy UP 8009, Dob 1-9-2018, Reg 19299997, HA Cowboy UP 5405 x Deer Valley Henrietta 2908, sold to Doug Monson, Bottieau, ND. Lot 4 at $9,000, Carlson President 8095, Dob 3-15-2018, Reg 19338994, SAV President 6847 x SAV Madame Pride 0151, sold to Corolee Schmidt, Manning, MD. Lot 83 at $8,000, Carlson Madame Pride 8192, Dob 3-5-2018, Reg 19332907 SAV Renown 3439 x SAV Madame Pride 0151, sold to Bruner Angus, Drake, ND. 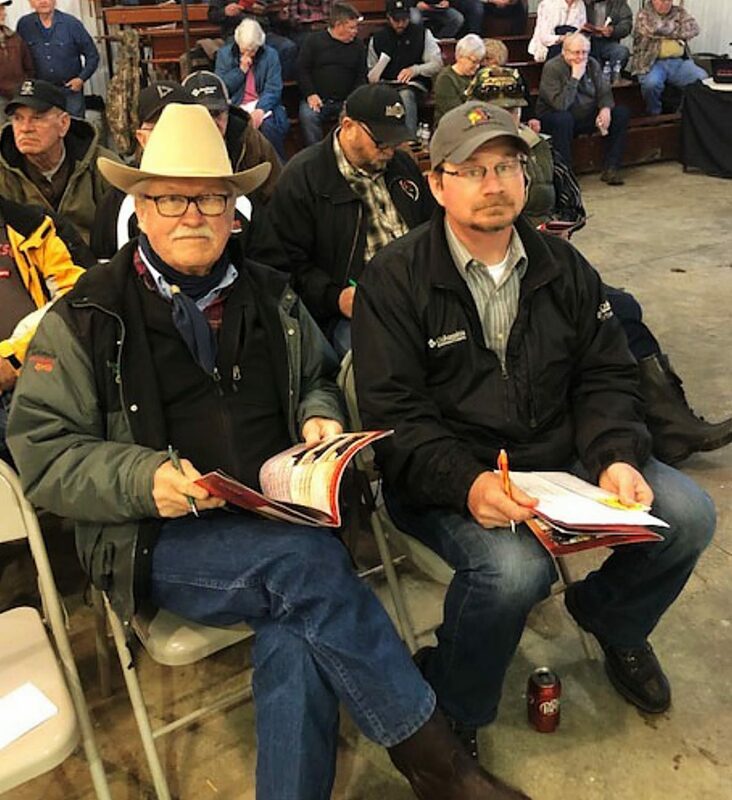 Lot 92 at $6,750, Carlson Blackbird 8042, Dob 3-2-2018, Reg 19323370, SAV Resource 1441 Carlson Blackbird 204, sold to Scott Katus Watauga, SD.